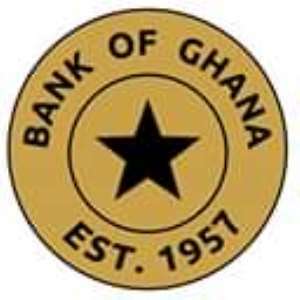 The Bank of Ghana is set to issue upgraded banknotes with enhanced security features from May 6, 2019 in line with the evolving changes with the technological landscape. In a statement issued by BOG on Monday, April 8, the upgraded banknotes will come with improved durability and machine readability. The statement indicated that following principal designs— Big Six portrait denominational colours, dimensions of the various denominations as well as other principal and background images remain unchanged. Optically Viable Magnetic Image (SPARK LIVE): It is a shiny colour-changing image of the cowrie shell on the GH₵10, star on the GH₵20 and cocoa pod on the GH₵50. When the note is tilted, a shiny line across the cowrie shell, star, and cocoa pod moves up and down. The colour of the feature also changes from gold to green when tilted. New Enhanced Security Thread (RAPID): It is a shiny broken line with movement that runs through the banknote from top to buttom. It is continuous when viewed against the light. When the note is tilted, a star expands and contracts while the denomination value stays still. More Prominent Watermark: It is the image of Tetteh Quarshie with a cocoa pod which has been made more visible on both sides when viewed against light. The denomination value can also be seen in the watermark area. Enhanced Iridescent Band at the Back of the Banknote: It is a golden band with gold bars at the back of the banknote that runs from top to buttom. It can be seen more clearly when the note is tilted against the light.